More often than not, people tend to think that frugal living is the same thing as becoming something of a Scrooge. Of course, there have been many other misconceptions surrounding this subject. For most, living a decent life means to have your fridge stocked to the max, to eat out at a fancy restaurant, or to buy lots and lots of stuff. The golden rule of frugal living is that if you can make it at home, then don’t buy it. Some of the things we use every day, like bread or detergent, can be made with ingredients found lying around the house. The second golden rule of frugal living is that if you don’t need it, then don’t buy it. 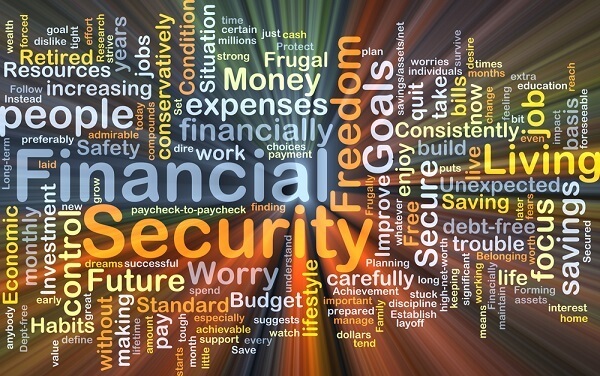 Keeping these things in mind, here’re our top 75 life-and-money saving tips, that will greatly help your bank account. Never underestimate the advantages of yard sales. It may look like a poor excuse to sell your junk, but you may soon discover that you have something for which another person is looking. Furthermore, apart from organizing your yard sale, you should also consider checking out other people’s offers. You may even find the thing you were looking for a very long time. When organizing your yard sale, be careful when picking up the item. You can sell appliances and other electronics, but make sure that they are in working condition. If you plan on selling items from your wardrobe, be sure to wash them beforehand. As a general rule, avoid selling used razors, toothbrushes, hairbrushes or used undies. Credit cards are excellent to have around, as long as you don’t overuse them. If you carry them around all the time, you might develop the urge to use instead of cash. It’s for the best to keep them at home, under lock and key, because the interest alone can hijack your monthly bills and give you the blues. Instead of using a credit card to pay for your items, try paying with cash or with your debit card. Everybody who owns a vehicle knows that gas can quickly become a problem if you don’t take care of your vehicle. A quick workaround is to clean your car air filters every month, or at least twice or thrice per year. It might seem unimportant, but according to many car mechanics, a car with cleaned air filters tends to consume seven percent less fuel than a car with clogged filters. To cut down even more on your cost, learn how to do this yourself, rather than taking your car to an expensive garage. Instead of spending your hard-earned cash on fizzy drinks like Pepsi or Sprite, try drinking tap water or bottled water. It’s not only a healthy habit, but it will save you a heap-load of money at the end of the month. A word of advice: if you decide to drink tap water over bottled water, then it would be a good idea to buy a water purifier. They cost around $10 per 100 filters, and it will help you siphon away all the impurities found in tap water. 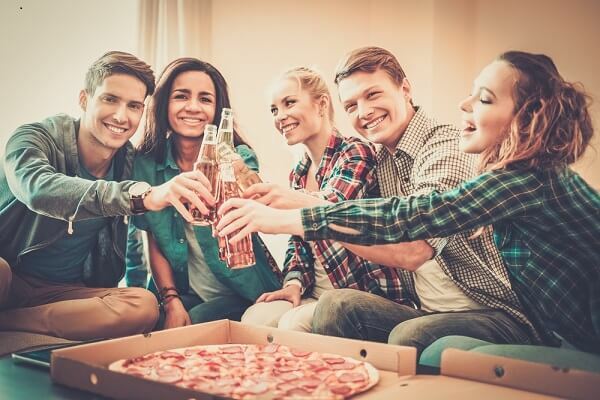 Going out with your friends for a pizza is always the highlight of each week. It’s good way to kick it back and have a nice chit-chat with your buddies over a delicious and mouthwatering pizza. But going out one too many times for pizza can leave quite a dent in your wallet, and you may end up regretting these rendezvous at the end of the month. Instead of ordering for take-out pizza or going out, consider making your own. It’s incredibly easy to make, and the only ingredients you’ll need are usually lying around the pantry. If you haven’t a clue about how to make a pizza, then here are 50 amazingly simple ideas for homemade pizza. This category manages to speak out for itself. If you thought that scuba-diving is an expensive hobby, then think again. Smoking is a very expensive habit, and not to mention dangerous for your health, being the leading cause of lung cancer. If you think that smoking is not expensive, then do the math yourself: a pack of Pall Mall cost around $6, depending on the state. On average, a smoker will go through a pack of cigarettes per day. This means that you’ll waste $42 per week, $168 per month and $2,016 per year. 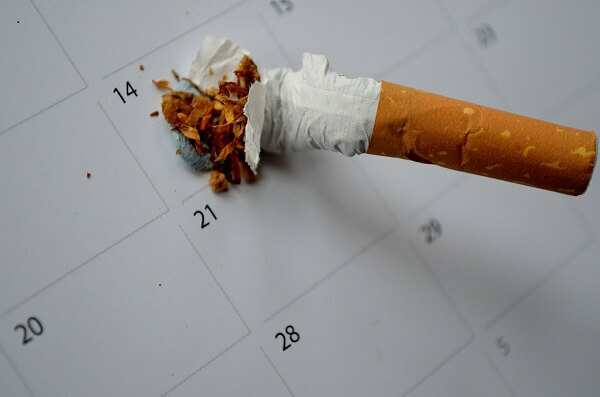 Supposing that you smoke one pack per day, this means that if you quit, you could use that money to buy the new Oculus Rift or to take your family on a vacation. If you’re willing to take this step, then there are several ways to do it. The first solution would be to quit cold turkey: throw away the pack and ride it out until you won’t feel the need to smoke. There are other solutions as well like lozenges, nicotine patches, and pills. Check with your doctor before quitting to see what’s the best option for you. When something breaks around the house, we usually have the urge to call in the handyman. Instead of having to call the handyman every time something breaks around the house, you could try repairing them yourself. There are a lot of web tutorials on how to fix stuff around the house like power sockets, furniture, doors, and even appliances. By doing this, you will manage to save some money, not to mention feeling better about yourself. When going shopping, it would be a good idea to compare the price tags before jumping the wagon. The chances are that you will find the exact item at a lower price. Don’t be afraid to spend an extra five minutes at the shop, looking at prices, because, in the long run, your wallet will thank you from the bottom of its leather. If you’re looking for other means to shave off some bucks at the end of the month, then think about insulating your house or redoing your current insulation. The number one cause of a high heat bill is that the house isn’t adequately protected. There are many ways to do this, without having to call a professional. The best insulating material out there is the blanket: batts and rolls. It’s easy to install, and you can even do it yourself. We know how convenient it is to buy your vegetables and fruits from your supermarket. But, instead of going on a fruit and veggie hunt at your local supermarket, try outdoor markets or farmer’s markets, instead. The fruits and vegetables are always fresh and cheaper that the ones in a supermarket. A cable subscription might not seem like a big issue, but, in the long run, you will be doing yourself a big favor by canceling the TV subscription. Think of it this way: what’s the point of having a 200+ channel subscription, only to watch reruns and the same sitcoms? So, instead of paying for cable TV just to watch the same things, over and over again, think about canceling your subscription and switching to live streaming. It’s much cheaper, and you will always have something new and exhilarating to watch. 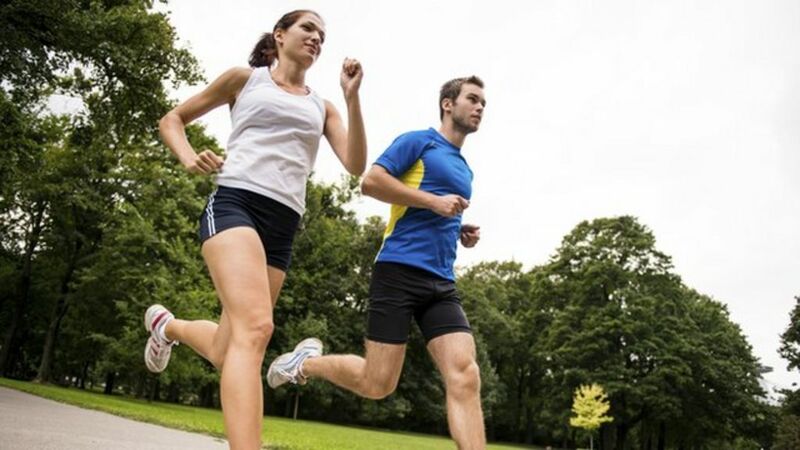 Frugal exercising is a relatively new concept. It refers to canceling out pricey gym membership cards or gym subscriptions and doing some outdoor exercises. So it’s not only healthy but cheaper as well. Instead of paying a monthly subscription to a gym equipped with all sorts of stuff, you could try doing some running, squats, and pull-ups. You’ll manage to stay in shape, and it won’t cost a dime. The golden rule of buying out luxury products like a new car, a shiny diamond ring, or the ultimate computer rig is the 30-day wait out rule. What does it mean? If you see something you like, don’t buy it right away. Instead, wait for another 30 days and rethink your position. If you still have the urge to buy the item, the chances are that you actually need it. It’s comfy to ride out in your car, but it’s also quite expensive when you come to think of gas prices. So, instead of investing tons of hard-earned cash into gas, you might try taking the bus or subway every now and then. Furthermore, if your workplace is near your home or in the vicinity of a public transportation hub, then it will be probably a good idea to ditch your car and ride the bus. Why should you read a book written on the subject? Because no one is born a teacher and you’ll need all you can get to get started on your frugal journey. Alternatively, you can check out some online frugal articles to learn more about how you can make life fun again, without spending the last penny in your pocket. Instead of buying gifts from the mall, try making them at home. Here are a couple of DIY Christmas gifts ideas. Invite your whole family to participate in the Christmas preparations. Frugally eEating out doesn’t necessarily mean eating less. It means planning ahead and making larger meals every time you cook. So, when cooking your meals, try and make jumbo-sized casseroles that last for a week. Frugal traveling refers to planning the perfect summer of winter get-away without having to empty your family savings account. Plan ahead, compare the offers and choose hostels over hotels to make the most out of your vacation. Remember – a holiday is all about unwinding, not keeping track of your bank account. You don’t have to spend a lot of money on gifts. Instead of going out to get the present for someone’s birthday, trying making it at home. Get to know what that person likes and try to craft it at home. If you need advice on how to craft a particular gift for someone, check the web for suggestions and tips. Eat healthier, exercise a lot and have fun with your friends and family without having to worry about your wallet. There are all sorts of fun and cheap activities out there – you only have to use your imagination. Being a part of a frugal family doesn’t have to be boring and annoying. There’s also something to do to have some fun. Try to make cooking more appealing for the kids, spend your weekends at home playing board games, and invite your friends over, from time to time. Although it does seem a little off, Craigslist is one of the most powerful e-market platforms out there on the web. Using Craigslist, you can buy everything you need around the house, be it new or used. As a general advice, try to buy an item from vendors that have high-star ratings and positive comments than shady vendors with bad marks. Cleaning products, especially detergents, can become quite expensive, especially if you are a clean freak. To shave off a few dollars at the end of the month, you could try making your detergent at home. One bar of soap, finely grated. In a recipient, mix the borax and the washing soda. Be very careful not to touch any of the two compounds as they are toxic. Put the mix in a glass jar and store it in a dark and cool place. Using a lot of warm water can significantly increase you monthly energy bill. So, instead of using a lot of hot/warm water to wash your clothes, you can try doing the same thing with cold water. Not only will you be able to save some extra bucks at the end of the month, but you will also renew the clothes. Old clothes regularly washed with cold water, will look like new, and you won’t have to spend extra money on new clothes. When it comes to cosmetics, like hand lotions or body lotions, we tend to throw away the bottle once nothing comes out of it. But, truth be told, we don’t throw away the bottle because there’s nothing left in it, but because we’re too lazy to go in and get those extra drops. So, instead of throwing away the bottle, you can try cutting the top with a pair of scissors to reach the liquid stuck on the bottom. We all like the smell of freshly baked bread in the morning. It always reminds us of the good stuff in life. That’s why most of us use tend to buy a fresh bread each morning. But what if we told you that there is a way to have the same smell at home without going out each morning to buy a new loaf of bread? One package active dry yeast. 2 and a quarter cups of warm waters. Take a large, clean bowl and place the yeast inside. Dissolve it using warm water. Add salt, sugar, canola oil, and three cups of flour. Beat the mixture until it becomes smooth. Continue pouring the left-over flour and stir at the same time until the dough softens. Put the dough onto a flowered surface and knead it until it becomes elastic. Take another bowl and grease it. Put the dough in the greased bowl, cover it with a towel, and let it rise for about 1 and a half hours. Take the dough out of the bowl, place it on a flowered board, and divide it into two halves. Put some flour in your hands, and begin shaping the two halves. Take two greased pans, place the two dough halves inside, cover, and let them rest for an extra 45 minutes. Take the cloth off the pans, and places them in a 375 Degrees preheated the oven. Let them bake for 30 to 35 minutes. If you want to learn something new, then you should know that you don’t have to enroll in pricey classes to acquire new skills. Instead, try doing a little bit of research on the Internet on your subject of interest. The chances are that you will be able to find similar online courses, which are free of charge and infinitely more entertaining and challenging. Hanging out with your pals must be the highlight of your week. But going out one too many times in a month can make your pockets feel lighter than they normally do. So, instead of going out with friends at a fancy place, you could try throwing a house party. Tell everyone to chip in with food, drinks, and fun social games, so that you can continue your frugal living lifestyle. Smartphones are a must-have these days. They look good, and they’re quite handy to have around. Unfortunately, they tend to come along with a whopping price tag and with a paid mobile data subscription. So, instead of wasting your greens on a smartphone, you could try buying a non-smartphone and use your computer and tablet to check your mail and search the web. If you want to save a couple of hundreds of bucks each month, then it would be a good idea to switch off the light and unplug all appliances when leaving your house. That way you won’t have any phantom energy issues on your hands. Used products are highly underrated these days because everyone is looking to buy shiny new stuff for that fresh-out-of-the-box feeling. Well, you may not know, but some of those used products are almost in pristine shape, mainly because their owners did not have any use for them. Bottom line is that instead of buying a new product, which can cost a lot of money you can try buying a used one for a decent price and enjoy the benefits of frugal living. The best way to keep your veggies fresh all the time is to deep freeze them. Simply go to your local green market, buy a fair amount of vegetables, wash them, chop them up, stick them in a resealable bag, and put them in the freezer. That way, you won’t need to go to the market for fresh veggies every time you’ll need to cook something for your family. Plan you meals ahead for the true frugal living sensation. Don’t throw away those leftovers from the fridge. Instead of letting them go to waste, you could find a way of using them to prepare your meals for the next week and engine-start your frugal living diet. Here are a couple of great ideas on how to cook using only leftovers. Take a couple of minutes and think about what you need in terms of monthly/yearly subscriptions. You can save a lot of money by canceling out any magazines and newspaper subscriptions that you have. If you’re still interested in their content, you can probably access them over the web for free. Coupons are a great way to save money and get started oin frugal living. If you want to buy an item, do yourself a world of good and check for any coupons and promo codes online. There are many websites like groupon.com and promocode2016.com that have a wide offer of coupons for literally every product available on the market. Wash your hands more often to wish away all those pesky bacteria. More bacteria mean increased chances of getting sick and, in turn, getting sick means visiting a doctor and that story usually ends with a hefty medical bill. So, do yourself a favor and wash your hands more on a regular basis. Stay healthy and enjoy your new found way of life – frugal living. Apart from being the number one cause of obesity, junk food is as addictive as it is expensive. Instead of buying tons of chips and other stuff, you can try some nuts, seeds and fruits instead. That way, you will stay healthy, fit, and have more money to do other stuff. Most of us tend to go shopping for stuff after leaving for work, meaning that the chances of actually having a grocery bag are next to none. It would be a good idea to carry around a bag in your backpack or purse in case you want to do a little late shopping, instead of buying a new one each time. Gas cars are more aggressive and look cooler. Unfortunately, they tend to consume a lot of fuel. If saving money is your gig, then you should consider switching to a diesel car instead of a petroleum-based vehicle. They tend to consume less fuel and are eco-friendlier. We know that you don’t want to be that kind of person that uses the office printer for personal stuff, but when you’re running on a tight budget, you don’t have much of a choice. Personal printers are great and useful when you want to print some documents urgently, but the cartridges alone are very expensive. So, check with your colleagues and supervisors, explain the situation and ask them if you can use the office printer once in a while. Another trick to boosting your frugal living scheme is to assemble your computer by purchasing all the components and then putting them together. Components like motherboards, RAM memories, GPUs are slightly cheaper if individually bought. So, the next time you’re looking to buy your dream gaming rig consider hunting for individual components, rather than buying the whole thing. Haggle doesn’t work only in Skyrim; it works in real-life as well. When purchasing a couple of products, ask the vendor if he or she can’t offer you a discount. The chances are that you can work out quite a price for your item. Note that this strategy can only be used in certain conditions, meaning that not all merchants are willing to negotiate a price. Instead of buying an individual item that costs quite a lot, try and buy your home supplies in bulk from online shops like bulknationusa.com. You will be surprised at how much you’ll be able to save just by shopping like this. Binge-buying, shopaholism, shopping as a hobby – these things are, most of the time, associated with the mall. If you want to do your wallet a favor, then avoid the mall at all cost. Frugal living is all about thinking ahead not just buying because you have nothing else to do. Breakfast is the most important meal of the day, so says the Oracle. It’s healthy, nutritious, and it provides you with a heap-load of energy for the day. Another reason to not skip breakfast is snacking before lunch. Whenever you skip breakfast, you will undoubtedly have the urge to snack on something before lunch, which, in turn, translates into extra cash. So, eat breakfast and you’re good until lunch time. Be smart about your frugal living! A good budgeting tool will help you keep track of your finances during the month. Some of the best choices in budgeting tools are Quicken, Mint, PearBudget, and GnuCash, which will help you in your frugal living endeavours. Why go the movies and spend a lot of money when you can have fun around the house? 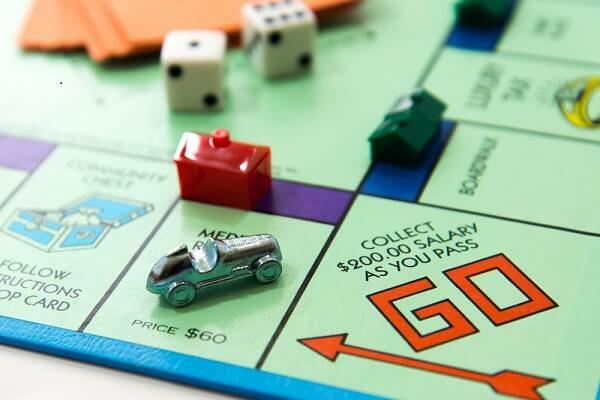 Buy yourself a couple of entertaining board games like Monopoly and Jenga, and invite your friends over. You won’t even know how time passes by. Buying a house might be in your cards, but it’s a long and expensive investment, especially of you’re keen on frugal living. Instead of going over your head with mortgages and shady interests, consider renting your home. It’s much cheaper, convenient, and the banks won’t trouble you. Save time, fuel and money by paying your bills online. There are tons of services which you can use to pay your bills, some of the most popular being PayPal and MoneyGram. Frugal living means money, as well! Vending machines are usually an excellent source of snacks, especially during breaks. If you want to save a couple of bucks each month, it would be a good idea to bring your lunch from home and avoid buying stuff from the vending machine. You don’t have to spend a lot of money just to appease your sweet tooth. If you want to have some sweet treats in the house all the time, try baking your own stuff. For more ideas, try out these cheap and easy homemade desserts. If you’re still looking for ways to cut off your monthly expenses, you can stop buying your vegetables from the store/market and start growing them in your garden. If you’re living in an apartment, you can always buy some seeds, dirt, and pots to start growing your first veggies. Riding the bike is not only good for your health, but it’s also a cheap way to move around the city without spending a ton of money on gas. Overbuying food is one of the reasons why we waste a lot of money each month. So, instead of filling out the fridge with things that you might or might not eat, buy in small quantities and eat it before buying more. When going on a trip, it would be a good idea to choose a camping site rather than check into an expensive hotel if you are attempting to partake in the ‘frugal living’ lifestyle. Tents are cheaper, easy to carry around and add a dash of adventure to the whole trip. Instead of opting for a separate insurance plan for your vehicle, check with your current insurance company so see if the scheme includes your transport. Different insurance policies translate into more money jumping out of your account at the end of each month. To save more money on your heat bill, it would be a good idea to adjust your thermostat on a regular basis. Alternatively, you can buy a smart thermostat, like the NEST, which automatically adjusts the indoor temperature and gets you started on your way to frugal living. Clogged air conditioners tend to consume more electricity than ACs with a clean filter. Try cleaning those filters once or twice per month. If someone close to you has the thing you need, then you can always ask that person to lend it to you. For obvious reasons, borrowing stuff is more efficient than actually buying the thing, but don’t overdo it. The gesture of sharing your meals with your significant other is not only romantic but money-saving as well. Tell him or her just how much you love them by sharing your meals. Watch how frugal living takes a turn for the romantic! Vacuum bags are a good way to keep your food fresh for an extended period. Food stored in such containers will not spoil as quickly as food stored in plastic containers. If you want to avoid buying stuff that you don’t need, then it will be a good idea to bring a shopping list along with you. Can’t quit smoking but you still want to attempt frugal living? Well, you can try out buying rolling tobacco instead of a regular pack of cigarettes. So, instead of spending over $200 per month on packs, you can purchase a 500-gram pack of tobacco and some tubes for $50. Instead of wasting all that spare change on sweets or other stuff, it would be a good idea to tuck them in a piggy bank and use them the next time you want to buy something pricier. 65. Don’t spend money on car washing services. Wash it yourself. Another great frugal living tip is to stop taking your car to a car washing service and try to do the same thing in front of your house. All you need is a bucket water, some car shampoo, and a clean rag. If you want to engage in the frugal living lifestyle, learn how to patch up your shoes to extend their life. That way, you won’t need to go shoe shopping too soon. Instead of using a hot air drier that consumes a lot of electrical energy, you can try hanging a cloth line on your balcony or the backyard. All you’ll need is a piece of string and two nails. If you think that furniture is expensive, you can try to building it yourself, in the comfort of your home. Here’s a quick tutorial on how to make some impressive pieces of furniture, if frugal living is what you’re interested in. Don’t buy expensive cleaning products to clean your stuff around the house. Instead, you could try whipping out a quick and inexpensive homemade cleaning solution, using some vinegar dissolved in water. Repainting the house is, without a doubt, a couple’s worst nightmare. Things tend to get way out of hand when checking for pros that do this kind of thing for a living. So, instead of wasting money on professionals, learn how to paint your house from top to bottom. The health of your teeth is a crucial aspect. To prevent your teeth from going bad and to spending money on extractions and treatments, check with your dentists on a regular basis. You don’t have to buy microfiber cloths to dust around the house or to wash your car. Just take your old shirts and cut away some pieces of fabric. Buying paper towels might become an expensive habit over time, not to mention the fact that they are not exactly eco-friendly. So, instead of buying paper towels, use old newspaper to clean your windows, as means to enjoy frugal living. Hair saloons can be quite expensive. To save off some money, you can try cutting your hair at home. If you don’t know how, then you can ask a friend or family member for help. Eating meat on a daily basis has been associated with many modern-day diseases such as obesity and cardiovascular issues, not to mention the fact that an all-meat diet is expensive. Do yourself a favor and limit the consumption of meat to once or twice per week. You can replace the meat with lots of veggies and fruits. There are no magic tricks when it comes to frugal living. You just have to keep in mind a few tips, read a lot, and use your imagination. And do try to remember that frugal living is all about making life easier not hard.